Of purifiers I am the wind; of the wielders of weapons I am Rama; of fishes I am the shark, and of flowing rivers I am the Ganges. Of all the aquatics the shark is one of the biggest and is certainly the most dangerous to man. Thus the shark represents Krsna. And of rivers, the greatest in India is the Mother Ganges. Lord Ramacandra, of the Ramayana, an incarnation of Krsna, is the mightest of warriors. Of purifiers I am the wind, of the wielders of weapons I am Rama, of fishes I am the shark,and of flowing rivers I am the Ganges. “The shark may be a dangerous fish, but the locution “of the Ramayana” at once alerted me that something else fishy was going on. Is Lord Ramacandra a character from a book, like Alice “of Alice in Wonderland”? Sure enough, in the original manuscript the text about Lord Ramacandra doesn’t appear; it seems to have been added by the editor. What does the previous acaryas say? Of purifiers Lord Krishna’s vibhuti or divine, transcendental opulence is the wind. Of wielders of weapons His vibhuti is Parasurama who slew in battle all the ksatriyas or warriors class 21 times with His mighty axe. Among fish His vibhuti is a particular fish that can swallow a whole whale and lives in the deepest part of the ocean known as Makara and amongst all rivers, Lord Krishna’s vibhuti is jahnavia name of the holy Ganga. So how can we reach a conclusion about this? One obvious thing to do would be to investigate if Prabhupada said something about it! Giriraja: There was some discussion earlier whether Krsna had an actual existence or whether He is imaginary. Prabhupada: Why imaginary? He is in the history, Mahabharata. Mahabharata means greater, history of greater India. Ram Jethmalani: No thank you. I am trying to finish as much as I can. Prabhupada: About Ramayana. Srimad-Bhagavatam there is reference of Ramayana. Srimad-Bhagavatam is the last writing of Vyasadeva. Ram Jethmalani: In last writing it may contain, but between the two of them, there is no cross reference of any kind. Now, a personality like Krsna, when first set up, it must have become a phenomena at least. Prabhupada: And besides that, in the Vedic literature, Brahma-samhita, this name Rama is mentioned. Besides these statements from Prabhupada contradicting the BBT International, there is another obvious objection to the deletion of Lord Ramacandra from Prabhupada’s Bhagavad-gita As It Is, namely that during his manifest lila Prabhupada never made any objections to Ramacandra being mentioned in his own Bhagavad-gita As It Is. He never asked anyone to remove Lord Ramacandra from the purport to verse 10.31. Maybe he didn’t because he preferred Ramacandra to be there? This is certainly possible taking into consideration that he mentioned that Lord Ramacandra was mentioned in the Bhagavad-gita and used this verse to support the idea. 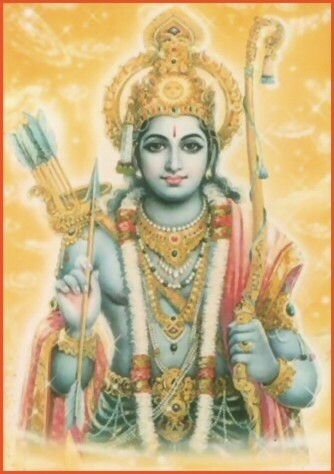 This, of course, does not mean, that “Rama” in verse 10.31 can not also refer to Lord Parasurama. Even if our sampradaya acaryas took “Rama” to refer only to Lord Parasurama (as seems to be the case with Visvanath Cakravarti Thakura and Sridhara Swami), still our job as diksa- and siksa-disciples of Prabhupada is to accept Prabhupada’s mood and analysis of the verse. It is not our job to be leap frogs jumping over Prabhupada to the previous acaryas. And it is certainly not our job to be more intelligent than our acarya and change his teachings. The most devastating effect of this change is that it will make Prabhupada’s words in the above conversation appear uninformed and false. In this way Prabhupada’s authority will be reduced. Future devotees, and any other person who will study this verse, will come to think that Prabhupada was wrong when he stated that “Rama” in BG 10.31 referred to Lord Ramacandra. It will also give them the impression that a disciple can see mistakes in the acaryas words. The principle of arsa-prayoga will not seem important to them. In this way doubts about the purity of Prabhupada and his books will be instilled in new devotees. 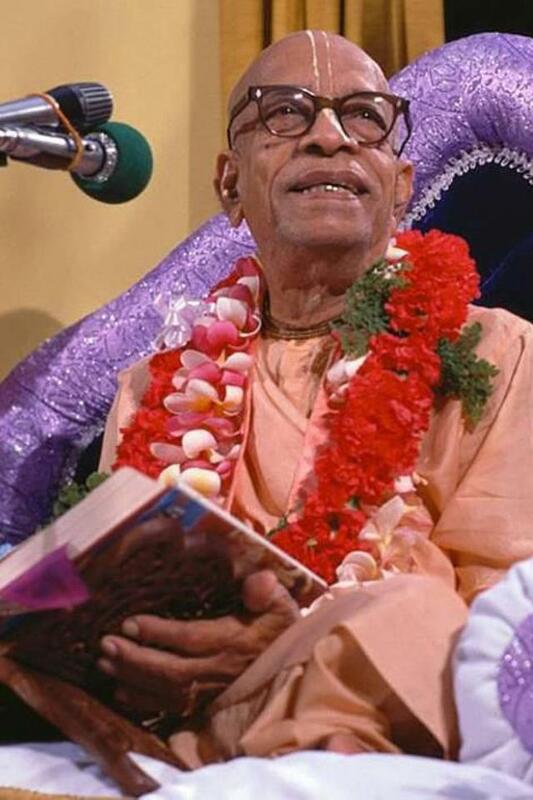 We see that Jayadvaita Swami says there is something “fishy” in Prabhupada’s gita, and Lalitanath Dasa says there are “unauthorized speculations” in it. They state these things publicly, and this will gradually ruin the faith of devotees (and potential devotees) who are not yet so strong in their spiritual lives. This entry was posted in All posts, Arsa-prayoga, BBTI, Bhagavad-gita As It Is, Direct quotes, Examples of changes, Jayadvaita Swami, No reply from BBT International, Prabhupada said, Previous acaryas, Sastric references and tagged arsa-prayoga, bbt, BBTI, Bhagavad-gita, examples of changes, Hayagriva, Jayadvaita, Lord Ramacandra, posthumous editing, prabhupada. Bookmark the permalink. Hare Krishna. It upset me very much to hear that Lord Ramachandra has been removed from Srimad Bhagavad Gita As It Is by His Divine Grace Srila AC Bhaktivedanta Swami Srila Prabhupada. Good job exposing and speaking up for Srila Prabhupada As He Is. All glories to His Divine Grace Srila AC Bhaktivedanta Swami Srila Prabhupada. Lacking greater perspective, individual cases of posthumous editing at seem negligible or even beneficial. I don’t think persons who follow and champion the BBTi editing realize that over time, they are going to end up with the same problem followers of Jesus have (knowingly or unknowingly) today. Namely, the authenticity, purity and completeness of the Bible’s message. Thus, in all honesty, they will have won themselves a seat on a bandwagon earthbound religion.